As per the NSE bulk data for 3rd May 2017, our master portfolio member Ashish Kacholia has bought 25 lakhs of Time Technoplast from AMERICAN FUNDS INS SERIES GLOBAL SMALL CAPITALIZATION FUND, which is holding 5.26% percent of the company. AMERICAN FUNDS INS SERIES GLOBAL SMALL CAPITALIZATION FUND sold 55 lakh shares at 115.12 and the same was bought by Ashish Kacholia and R.B.A.FINANCE. Are you interested to hear the story of a guy who hired the person who sacked him once and forced him to start a company? 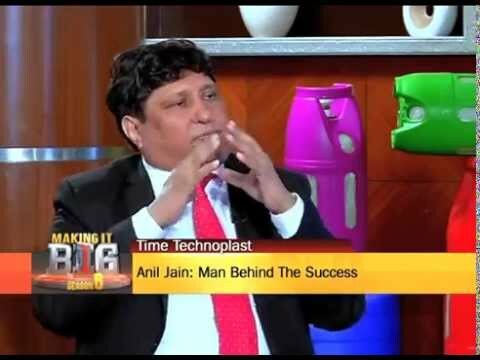 Here is the story of Anil Jain, the founder of Time Technoplast. Anil Jain started the company with an initial investment of 9 lakhs at the age of 36. 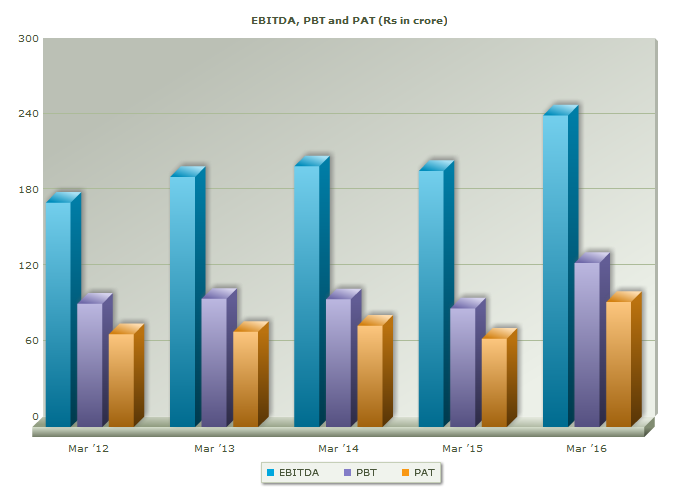 Till then Time Technoplast has grown from 2.5 crores in 1992 to 3000 crores in 2017. Time Technoplast Ltd is a multinational company involved in the manufacturing of technology and innovation driven polymer products having presence in 9 countries across South East Asia, Middle East and North Africa (MENA). The company is head quartered in Mumbai, India. The group business interest includes Industrial Packaging, Lifestyle, Infrastructure, Automotive Components, Healthcare, Composite Cylinders, and Material Handling products in many of which the group enjoys a leadership position. 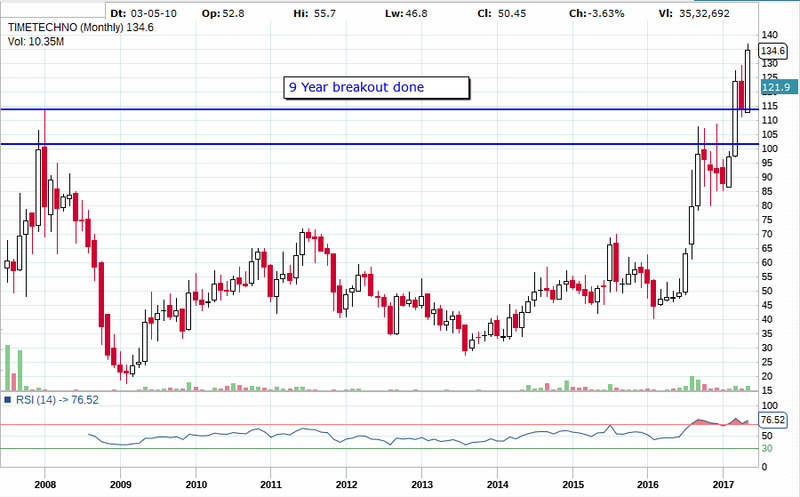 Since its inception in 1992, Time Technoplast has set itself apart from its competitors by focusing on research and development, futuristic product designing, superior customer service by setting up 28 manufacturing units & 10 regional and marketing offices to meet the growing demand of Indian customers & further to fill the need gap for global customers. New Product Launch: Company launched its highly technical and innovative MOX film (Multi layer Multi axis Oriented Cross Laminated Film) under the brand ‘Techpaulin’ effective 1 st of April 2017. Expansion: Time Technoplast aims to double the cylinder capacity from the current 7,00,000 to 14,00,000 by June 2017. As of now company has a total order book of 1.8 million cylinders and its expecting more orders to come in. Company is expecting that its RoCe will grow from the current 13 percent to 15-17 percent in 2018 and 22 percent by 2022. Liquidate Land Parsel : Company has plans to sell its owned land after developing in the next 2 year time frame. For this, promoters may dilute 1 more percent(they have already dialuted 1 percent) to raise capital for land development. Anil Jain confirmed that once the land is fully developed, it can be sold for nearly 200 crores and the same can be used for buy back of shares.